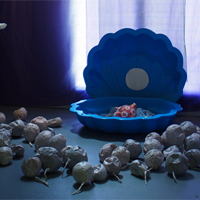 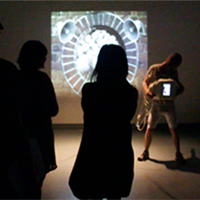 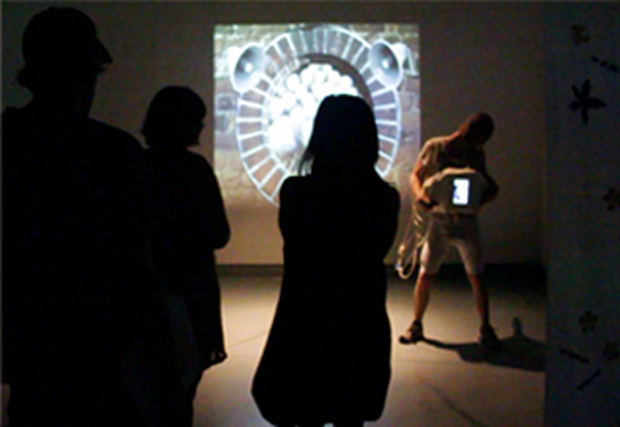 Bathtime Romance is a narrative based installation where sculpture, sound, music, performance and digital art intersect to create a new medium we term "tele-theatre". 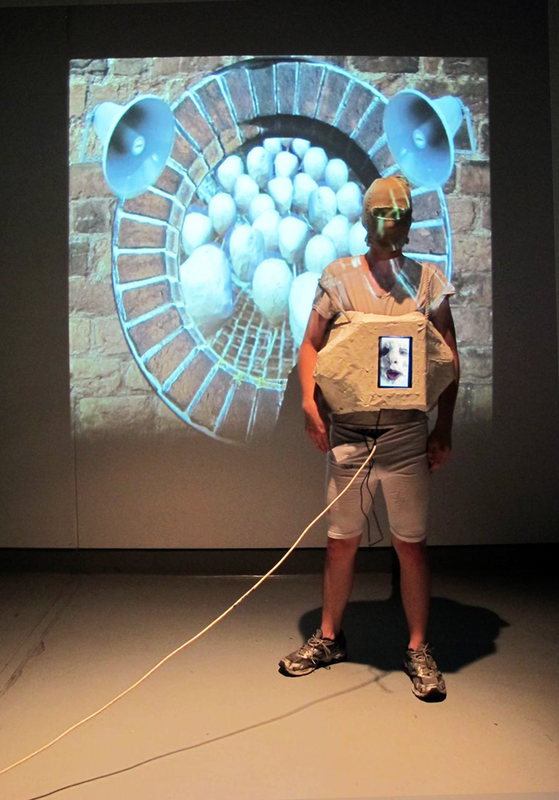 Designed as a walk through installation/ performance piece, Bathtime Romance tells the story of a lone sperm as he wanders his way through the drains in search of a mythological alien egg. 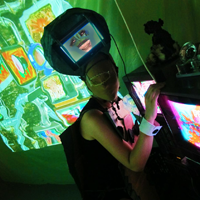 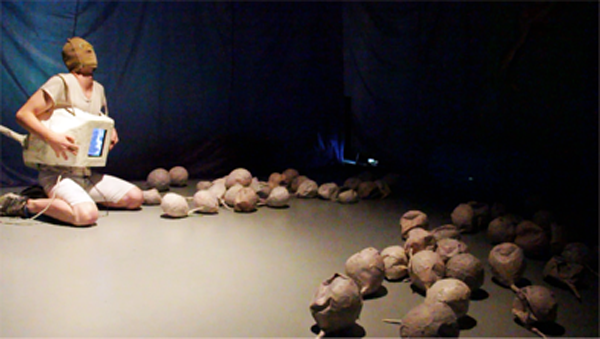 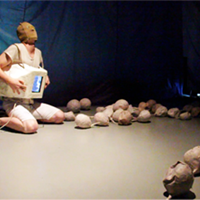 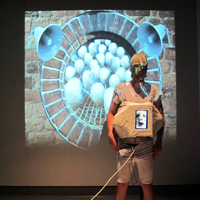 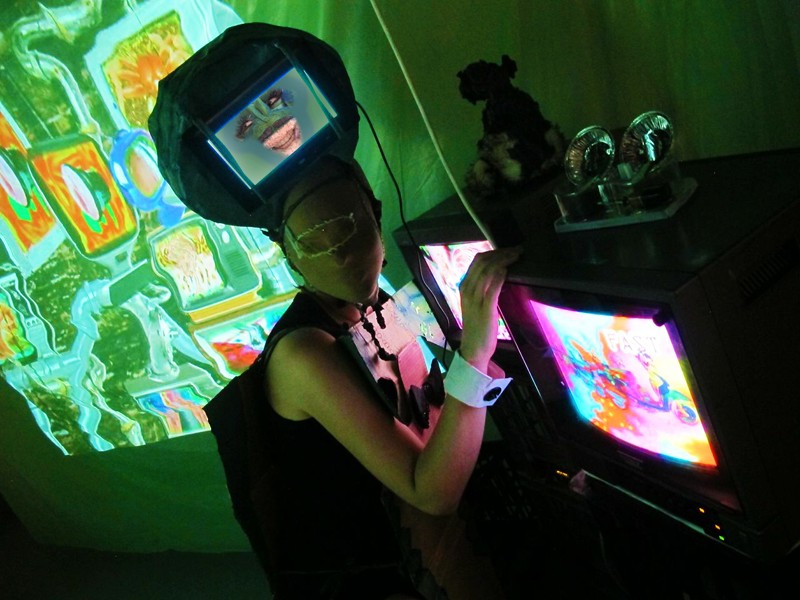 The costumes are installed with screens and the songs and dialogue are prerecorded in order to evaporate both the faces and vocals of the performer, rendering them as empty vessels for the digital technology to occupy.